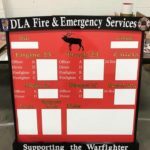 These custom Wall Shields were made for the Ashburn VFD (VA). The first one is 4’x8′ and features raised lettering, a textured edge, gold leaf striping, and their logo. 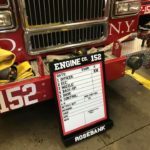 The other two Wall Shields are 36″ tall and as with all of our Wall Shields, they feature raised lettering and other elements of the design for a 3D look. 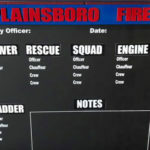 The last picture is of the previous Wall Shields we have built for Ashburn hung up in the station.